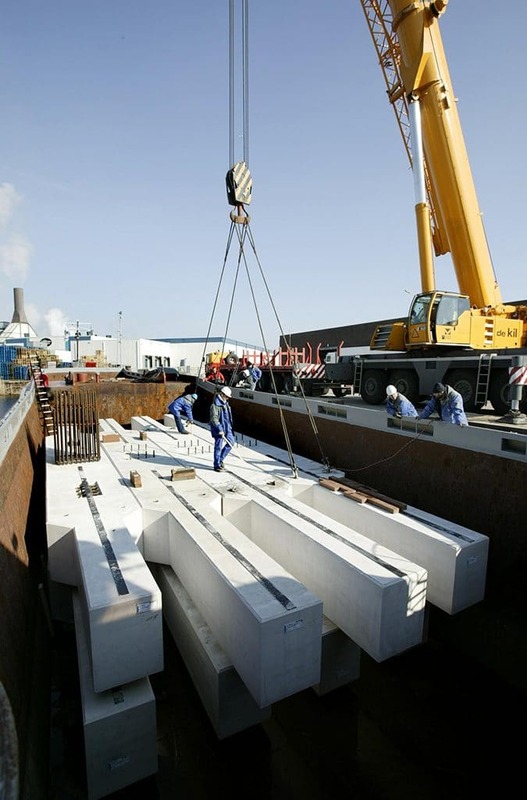 Rotterdam’s Europoort is one of the busiest ports in the world and often referred to as the (industrial) entry to Europe. 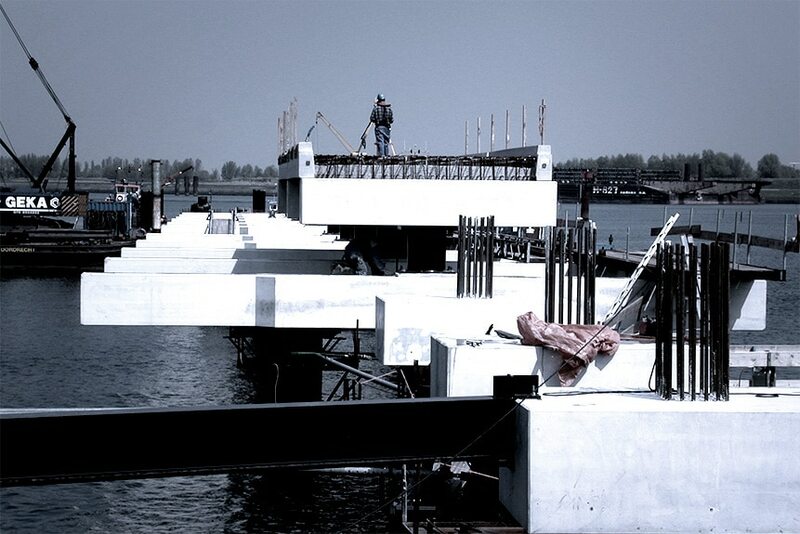 The 7th Petroleum harbor includes a jetty for the Rotterdam Port Authority. 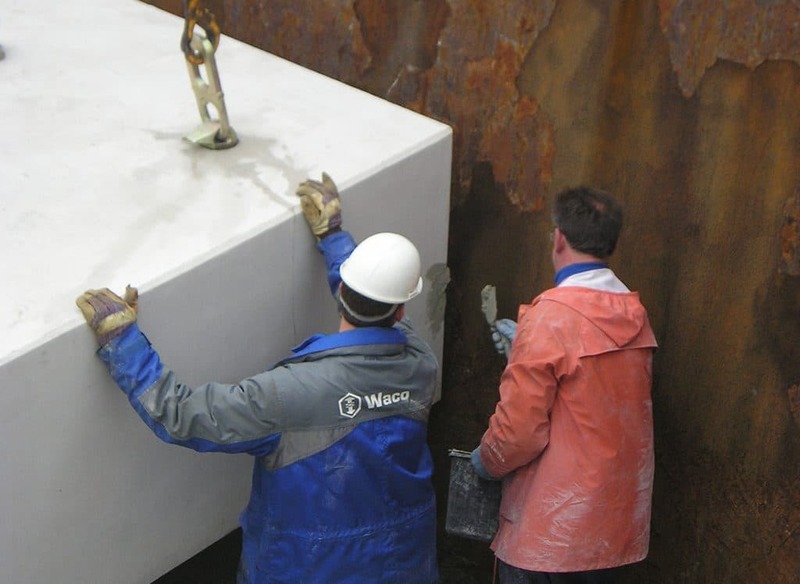 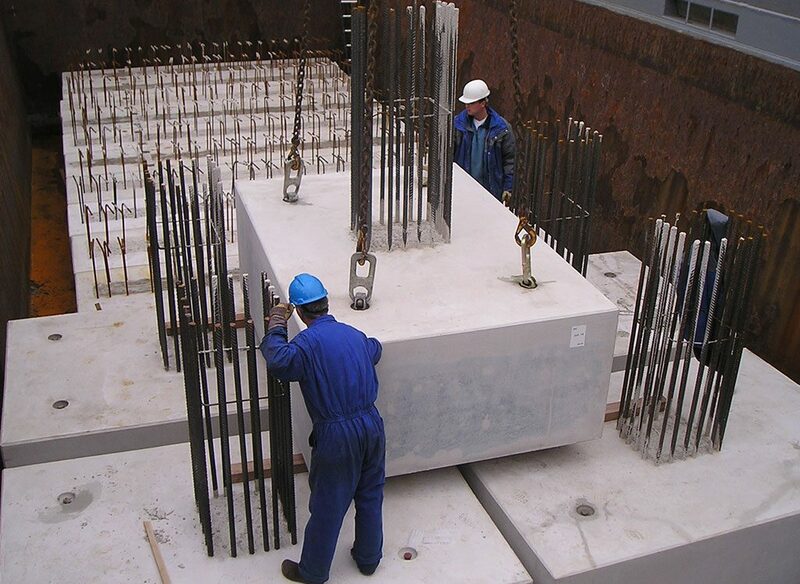 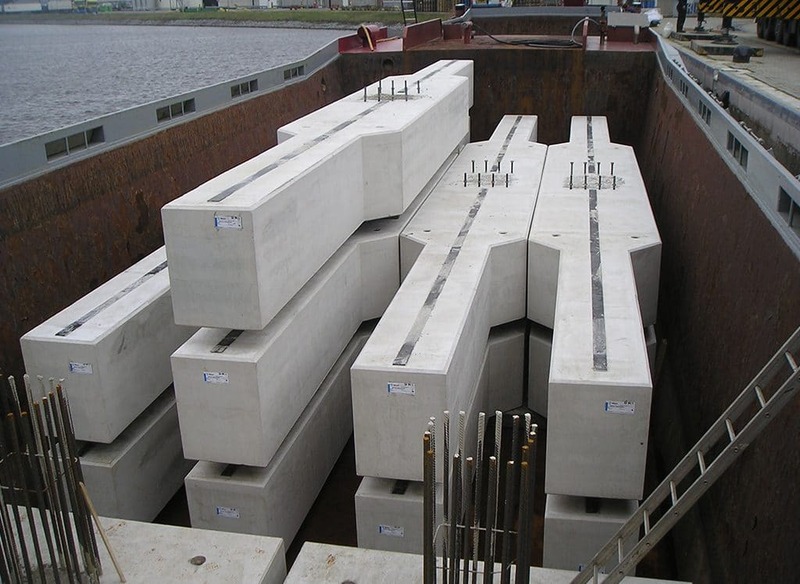 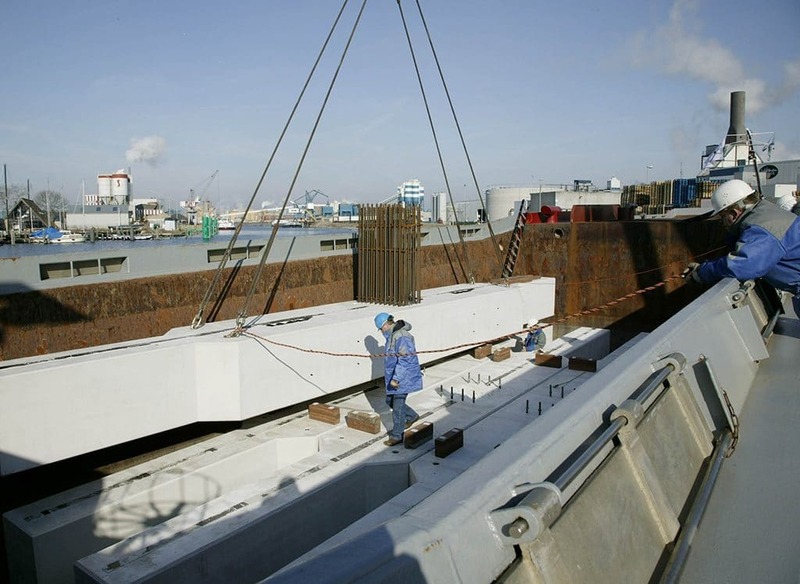 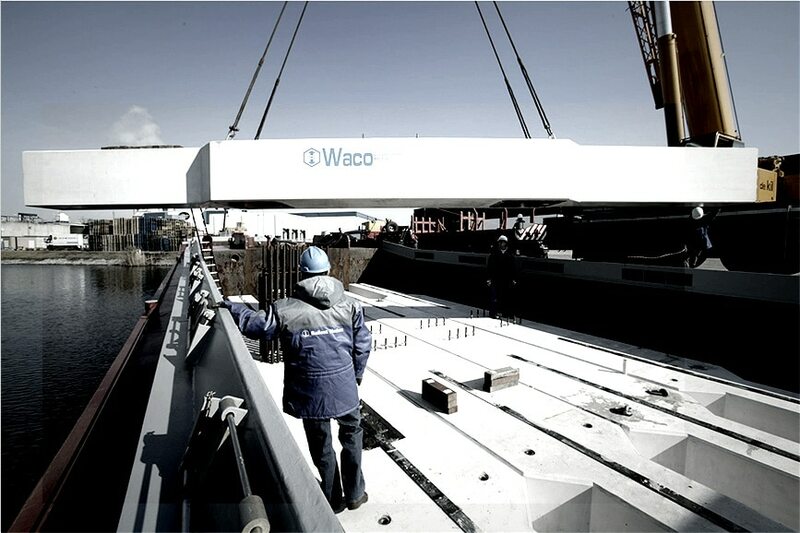 Waco produced and transported the precast elements for the jetty over water. 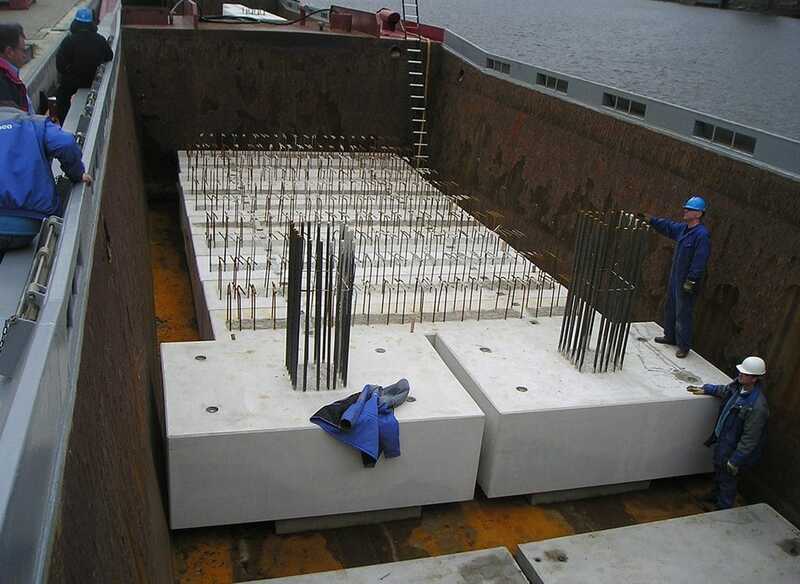 By the use of precast elements for the jetty the main contractor achieved more build / project efficiency.The jetty with a concrete deck of 650 meter is Europe’s longest.